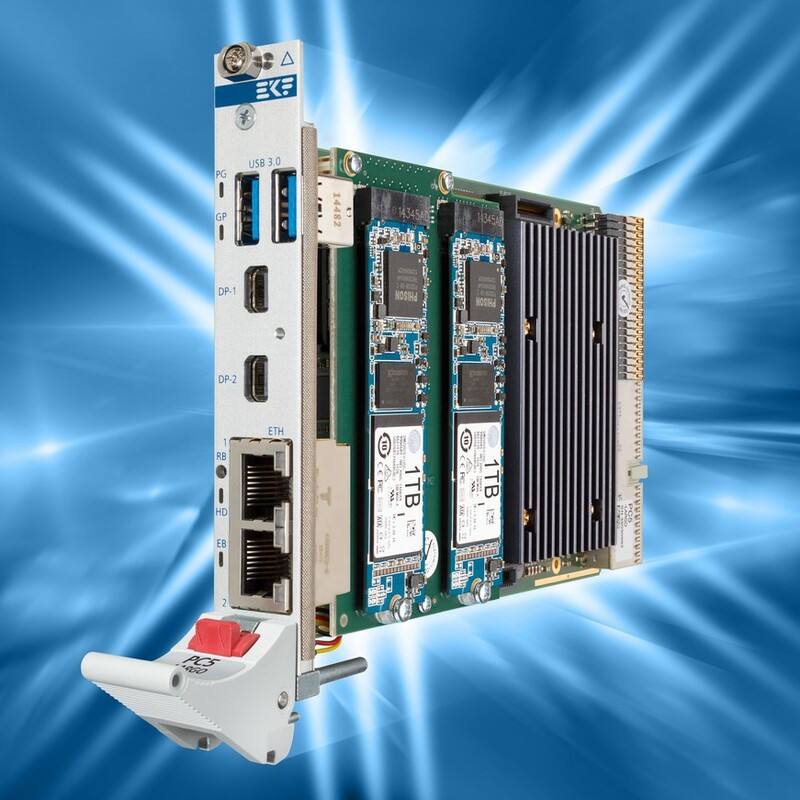 EKF presents a real all-in-one solution: The PC5-LARGO is a rich featured CompactPCI® PlusIO CPU board, equipped with an Intel® Core™ mobile processor. The front panel is provided with two Gigabit Ethernet jacks, two USB 3.0 receptacles, and two mDP connectors (DisplayPort 1.2 MST, 4k UHD). Low profile SSD mezzanine modules are available as on-board mass storage solution, preserving the 4HP front panel width. As an alternate, local expansion mezzanine boards (side cards) are available for additional front panel and/or rear I/O, resulting in an 8HP assembly. 4-core processor is provided with the GT3e-6200 Intel® Iris™ Pro graphics controller. The PC5-LARGO backplane connectors comply with the PICMG® CompactPCI® PlusIO system slot specification, suitable for a rear I/O module or hybrid CompactPCI® Serial system via J2. Across J1, the PC5-LARGO is backwards compatible to classic CompactPCI® systems. EKF offers turn-key systems for any industrial and transportation application.